TikTok + LunaTik simply transform the iPod Nano into the world’s coolest muti-touch watches. Obsessively designed and crafted from premium materials, TikTok +LunaTik complement the impeccable quality of Apple products. 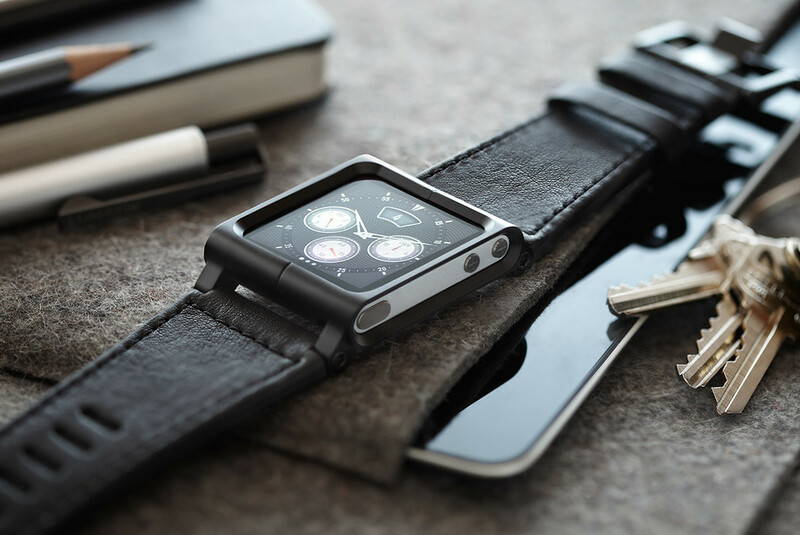 TikTok+LunaTik originally started as a pet project to satisfy Scott Wilson’s affinity for watches and curiosity around transforming the Apple iPod nano into a premium multi-touch watch. In the end, TikTok+LunaTik are more than the products themselves and have become a symbol for a new era in which designers are empowered through digital tools to make their visions and dreams a reality through the power of community. After designing and engineering the pair of watch conversion kits himself, Wilson approached industry giants and retailers including Apple, all of which told him the product was too expensive, too hard to make and too niche. With that Wilson turned to Kickstarter.com to experiment with crowd-funding a commercial product on a platform that had to date been largely used for art projects, music and film. Leveraging his background creating end-to-end product experiences, over a weekend Wilson created a raw video pitch, photography of rough prototypes, enticing product imagery, a tiered reward strategy for his potential backers, and an initial social media plan to spread the word. Then he posted it online. The rest is design industry history. With an initial goal of $15,000 to cover manufacturing costs, TikTok+LunaTik shattered expectations and raised nearly $1 million in 30 days, launching a viral global brand overnight. Scott Wilson’s project, which has been credited with 'kickstarting' Kickstarter, has sparked a revolution in product development--one that empowers designers, entrepreneurs, DIY’ers and inventors around the world to tap into the open, crowd-funded world of social commerce. Throughout the Kickstarter project, supporters and fans were informed and engaged on every phase of development and production, creating a totally transparent platform between the designer and the consumer. In a project survey, a shocking 76% of TikTok+LunaTik owners bought an Apple Nano because of the watch designs, which is a rare if not unprecedented milestone of an accessory driving the sale of the core product. As a result, the designs have found their place in Apple retail stores across North America and Europe and the LUNATIK brand has garnered an incredibly loyal following of supporters around the world.